Apparently, you can go too far on satellite radio. But whether crude comments about the secretary of state will get two radio hosts fired remains to be seen. 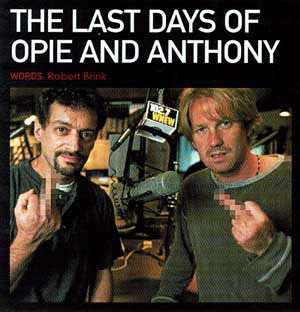 In a situation that led to an on-air apology Friday morning, shock jocks Opie & Anthony were scolded by their employer, XM Satellite Radio, which called the offending sketch deplorable. That kind of defensive move by XM wasn't supposed to be required in the satellite programming business, because it operates beyond the purview of the Federal Communications Commission. Indeed, a good part of the original lure of XM and its rival, Sirius Satellite Radio, was the way hosts like Howard Stern could finally say whatever they wanted. Turns out, for a variety of reasons, that isn't necessarily so. 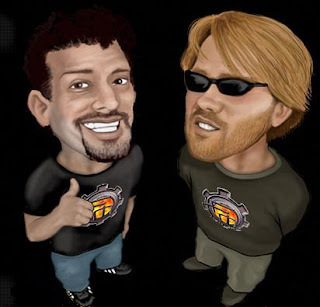 A representative for Trojan condoms said yesterday that the company would no longer advertise on the “Opie & Anthony” show on a CBS-owned FM station in New York after a guest on another version of the show, on XM satellite radio, mused about sexually assaulting Secretary of State Condoleezza Rice, leading to a vulgar discussion. Sirius: Will Programming Train Wreck Hurt Merger? 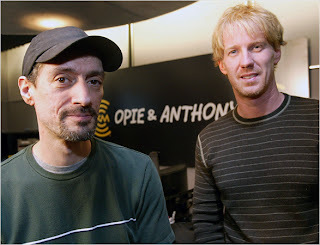 XM Satellite Radio (XMSR) favorites Opie and Anthony made some sexual remarks about Queen Elizabeth and Condoleezza Rice. The show hosts made an obligatory apology and XM said it was embarrassed and ashamed. The duo will be back on the air as scheduled. Sirius (SIRI) has its own version of shock radio in Howard Stern. All of this may be a problem as the two satellite radio operators try to merge. Congress and the FCC are looking hard at the deal. Their biggest problem so far is that they think the combination could form a monopoly. Not good for the consumers and all. The fact that the two companies are close to financial failure doesn't seem to matter. One month after the firing of radio host Don Imus, a pair of suspended New York shock jocks have been permanently pulled from the air by CBS Radio for a prank phone call rife with Asian stereotypes. “The Dog House with JV and Elvis,” featuring Jeff Vandergrift and Dan Lay, “will no longer be broadcast,” CBS Radio spokeswoman Karen Mateo said yesterday. CBS Radio dismissed Mr. Imus in April for a comment he made about the Rutgers women’s basketball team. He plans a $120 million breach of contract lawsuit.